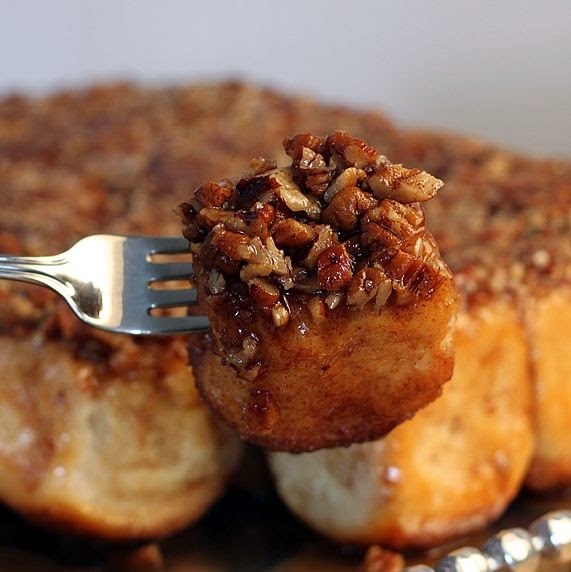 Love sticky buns? This is an easy recipe you can prepare in about 5 minutes the night before, then pop it in the oven in the morning. I made this recipe all the time for my family when the kids were young. I’ve since progressed to a more “from scratch” version of sticky buns, but when in a pinch and I don’t have the time, these are a fantastic stand by, as they’re “semi homemade”. Enjoy! Grease a Bundt pan or 9×13″ pan. Sprinkle nuts over bottom of pan, and place rolls over the nuts. Melt butter and add brown sugar, cinnamon, and pudding mix. Pour over rolls. Cover and set in a cold oven overnight. to 350º. Bake for 30-40 minutes, or until rolls are cooked through.